“A Day in My Life” is the culmination of a year-long collaboration between Henry H. Houston School in Philadelphia and LiveConnections. This cross-curricular artist residency integrated writing, music and performance and featured writing workshops in all classrooms, poetry intensives, and weekly workshops on songwriting and music composition. 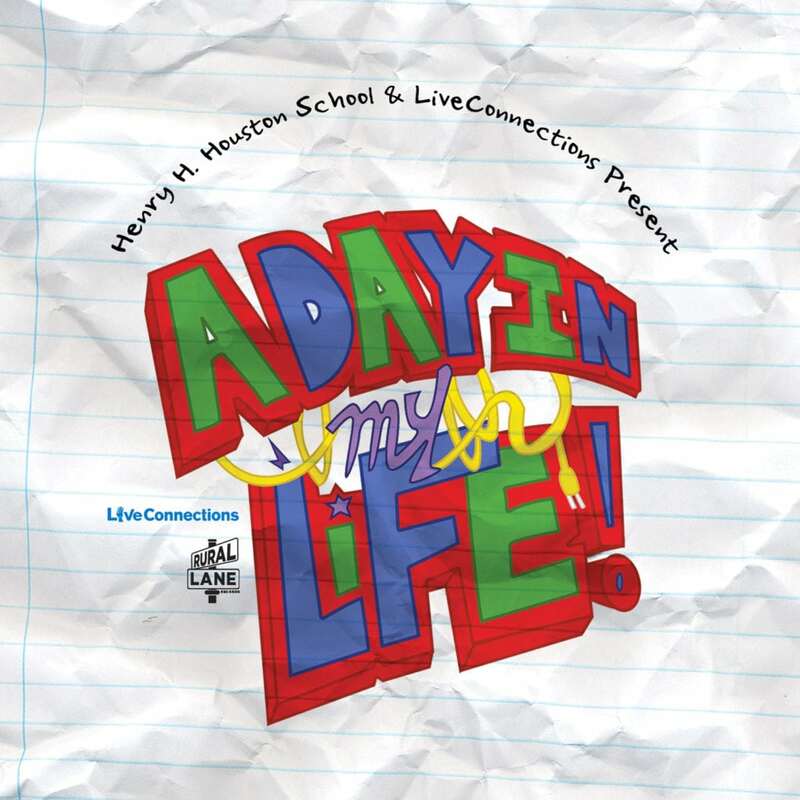 From the energy of the Houston School hallways to concerns about violence in our city; from stories of our families to imaginings of fantastical journeys; from questions for our future selves to images of our current neighborhoods, this album celebrates a day, a year and a creative coming together in all our lives. 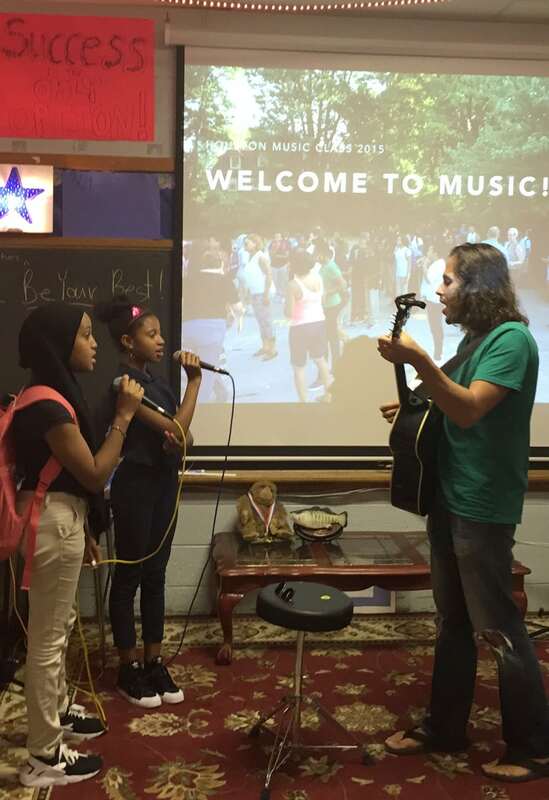 Our year-long residency at Henry H. Houston School combined poetry writing, songwriting, music production and performance in a cross-curricular residency that involved the whole school. Led by LiveConnections Founding Director David Bradley and teaching artist Andrew Lipke (a Philadelphia-based composer, performer and producer), together with Houston Music Specialist Teacher Ezechial Thurman, the project resulted in an album of 16 original songs and a 44-page book of student poems, as well as a music video for one of the songs. Students had the opportunity to perform at the Pennsylvania State Capitol (where they were honored on the House floor), Philadelphia City Council and the Barnes Foundation. 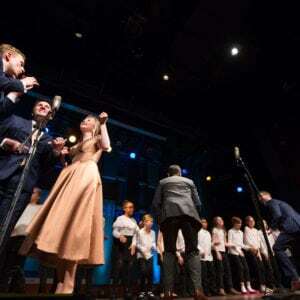 The project involved more than a dozen guest artists who collaborated with the students. 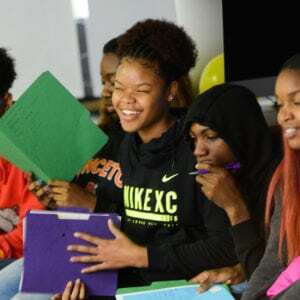 Songs grew from writing across the grades, all-school assemblies (“It All Starts Now”), a cross-city collaboration with Andrew Jackson Elementary School (“Similarities”), an exchange between an adult rapper and student rapper (“Dear Future Me”) and the artists’ responses to student work (“Write You a Letter”; “Dear Future Me”). Kick-off assemblies with the entire student body, during which the lead-off song on the album was created and recorded. 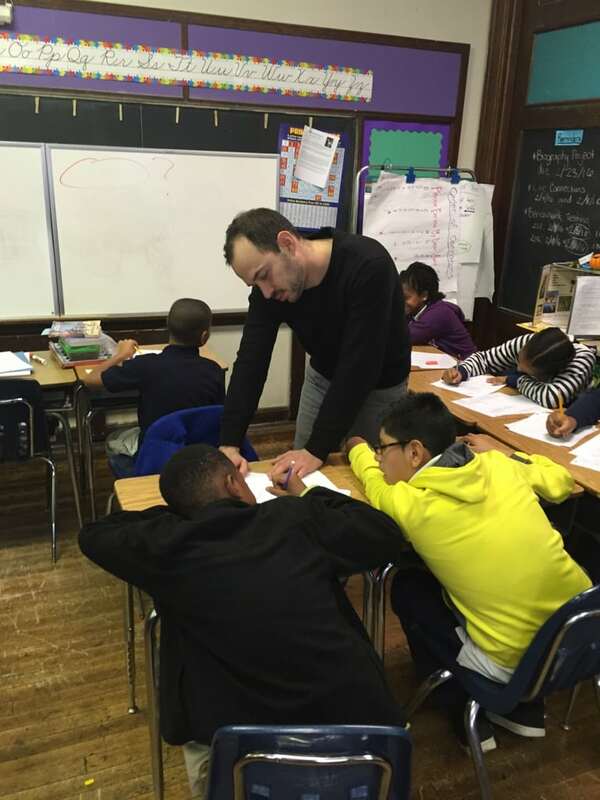 Three-week writing intensive in the fall led by poet Jacob Winterstein (a Houston School alum), featuring 2-3 visits to every class in the school, grades K-8. This writing focused on the theme of “A Day in My Life,” and ideas of home, family and neighborhood. The formation of “Lyrical Productions,” a 35-student core group of 4th-8th graders, who worked regularly from November to June to create and record the songs for the album. Sessions with this group (60-90 minutes) were led by Andrew Lipke and David Bradley and focused on individual and collaborative lyric writing, concepts of composition, singing and recording. Field trips to the National Constitution Center (which inspired “One Life Taken, One Life Saved”), World Cafe Live (where they created “Dance Like No One’s Watching”) and two professional recording studios, as well as the performance sites noted above. 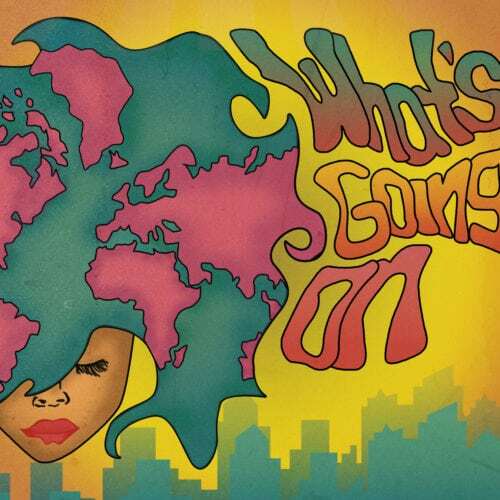 A Community Recording Day at World Cafe Live, in which a dozen professionals from business, civic and arts field joined the core group to record a song, and then have a dialogue with students about their jobs and career paths. 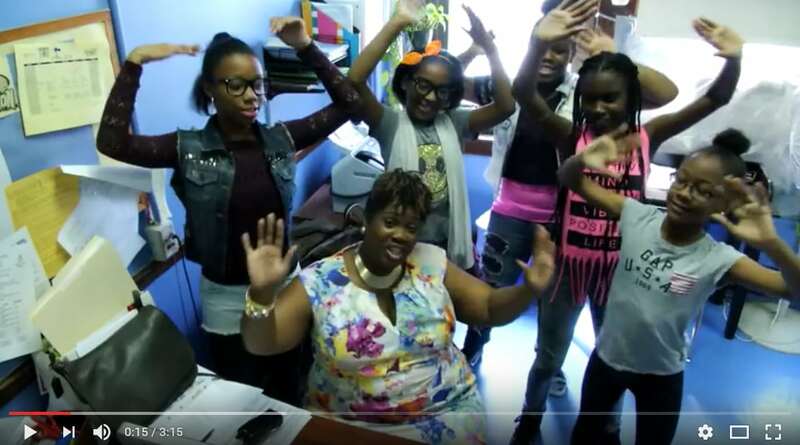 The creation of a music video for the song “Turn Up!,” which involved students working with movement artist Lela Aisha Jones to develop choreography, then working with videographer Galea McGregor to shoot the video around the school. The video included the whole student body, which learned choreography created by the students with the help of Ms. Jones. The creation of a short documentary feature about the project, featuring interviews with key program staff and students as well as footage from the creative process throughout the year. Through this residency, we set out to integrate writing and music-making in a way that impacted the learning of the school. 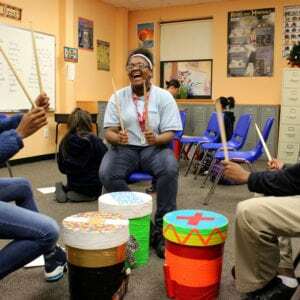 We also aimed to build collaborative skills among students, by having them write and create music in groups, and by forming a core group that spanned 4th-8th grades, so that students who normally would not work together could do so. Lyrical Productions is the 4th-8th grade core group formed for this project. 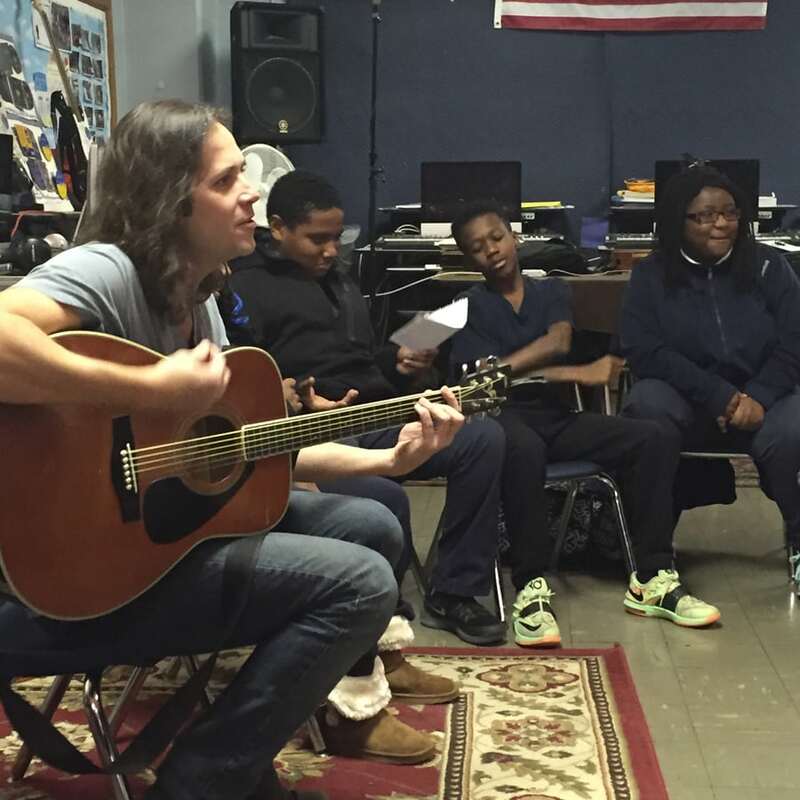 The following students participated in weekly songwriting and composition workshops. “A Day in My Life” was made possible with support from: the Carter Rowe Charitable Trust; CHG Charitable Trust; Christian R. and Mary F. Lindback Foundation; The Corrine R. & Henry Bower Memorial Trust, a PNC Charitable Trust; LiveConnections Kids Count Campaign; Philadelphia Cultural Fund; The Picasso Project of Public Citizens for Children and Youth; Samuel S. Fels Fund; Karyn Scher; The Scholler Foundation; The School District of Philadelphia; Stockton Rush Bartol Foundation; and Wyncote Foundation.